Do you have a baby that loves their car seat? I have a great giveaway tonight for anyone that is expecting, has a little one, or if you are looking for the perfect baby shower gift! This nifty device keeps your baby sleepy and happy in their car seat, but without you doing the work! Where was this when I was pregnant?! The Dozer Rocker was created by a dad that was hoping for a bit more rest Have you ever driven around to get your little one to sleep, I know I have! Well, the Dozer Rocker was made to stop the driving – but to keep the sleeping! This simple-to-use wedge is battery powered and wonderfully portable. So it can come with you to grandma’s house, your friend’s house, to the bathroom so you can get a shower in…or camping! As long as a car seat can be safely placed on the ground — indoors or outdoors — Dozer Rocker does the trick in keeping baby rocked. Are you ready for a bit more rest too? 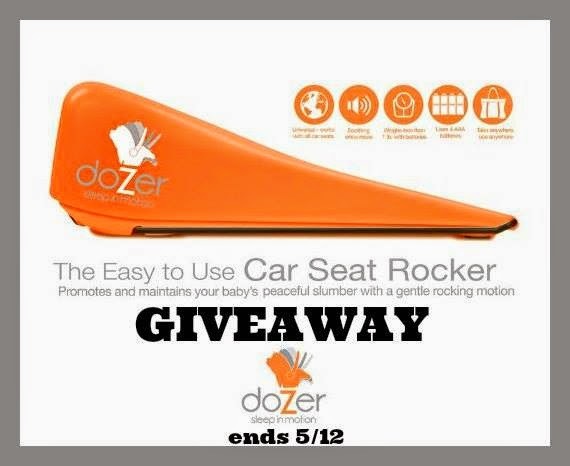 Well, here’s how to enter to win a a Dozer Rocker AND Adapter! UPDATE – Here’s 20% off on DozerRocker.com to give it a try or as a gift. Use discount code “havingfunsaving20″** Thanks Dozer Rocket for the coupon code! Disclaimer: The participating bloggers were not compensated for this post. We are not associated with any of the companies named above. No purchase is necessary to enter. Void where prohibited by law. The odds of winning are based on the number of entries received Open to US 18+ only. Confirmed Winner(s) (by Random.org) will be contacted by email. Winner(s) have 24 hours to respond before a new winner is chosen. No purchase necessary. Void where prohibited by law. The sponsor(s) will be responsible for product shipment to winner(s) of this giveaway. My blog is not responsible for product shipment/delivery. This event is in no way administered, sponsored, or endorsed by, or associated with, Facebook and/or Twitter, Google, Pinterest. This disclosure is done in accordance with the Federal Trade Commission 10 CFR, Part 255 Guides Concerning the Use of Endorsements and Testimonials in Advertising. Be sure to follow Saving Said Simply via Facebook, Twitter, Google, Instagram, Pinterest and YouTube for more fun giveaways! Disclosure ~ Post sponsored by Pampers and Double Duty Divas. All opinions are 100% my own. It’s true. There would be no celebrating moms on Mother’s Day without our children. They are what make my Mother’s Day one of the best days of the year. And more than just one day….everyday. This Mother’s Day, I am saying #ThanksBaby to my 2 kids. The day you met each other, that was the happiest day of my life. The instant love, connection and bonding…I will never forget that moment. You made me a mom, the BEST job in the whole world. And I cannot thank you enough for being perfectly made for me. Your personalities, your quirks, your laughs, your smiles, your cuddles and special “mommy and me” moments are priceless. But more importantly, I love that I will be able to watch you grow up together, hand-in-hand. Knowing that you care for each other, love each other and look out for each other. I am so blessed everyday, every moment when you cry out “Mama” and “Mommy.” YOU are what makes Mother’s Day so special. Thank you for being my amazing kids. Oh yes, I was in tears as I wrote this. That picture above, that was the FIRST picture taken of my 2 kids together. The first time that they laid eyes on each other. That picture, that moment is worth so much more than any possession I could own. I am their mom forever. Wow, what a great reminder this Mother’s Day. Pampers is partnering with Feeding America this Mother’s Day! All you have to do is watch the video below. For every view, Pampers is donating 1 diaper up to 1 million to Feeding America! I did my part. How about you? Now that you have donated to Feeding America, you can get ready for a rocking Pampers Twitter Party! Save the Date for the Pampers #ThanksBaby Twitter Party! Get ready for an amazing Pampers Twitter Party, just in time to celebrate Mother’s Day! And did you see the prize list???!!! See you this Thursday! Prizes: Pampers Diapers Prize Packs including: $100 Kohl’s Gift card, $50 Sephora Gift Card, BOB Jogging Stroller and more! How about a giveaway? 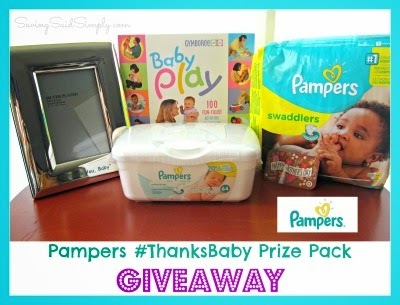 Thanks to Pampers, 1 lucky fan will win a HUGE Pampers Prize Pack! Never entered a Saving Said Simply giveaway? Click HERE to get started! Disclosure ~ This review was made possible by Double Duty Divas and Pampers. I was provided the featured product free of charge to facilitate my review, but all opinions are 100% mine. Saving Said Simply not responsible for shipment of prizes. Be sure to follow Saving Said Simply via Facebook, Twitter, Google, Instagram, Pinterest and YouTube for more fun giveaways! The Million Dollar Arm movie comes out super soon! Are you going to see this one? I love that it’s based on a true story. Disney always knows how to get your with those 🙂 Here’s a new video clip just released that will get you excited for the new movie. You can check out the new trailer for the movie HERE. 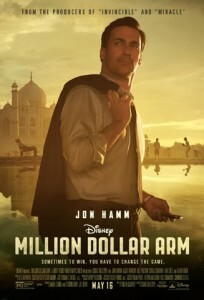 MILLION DOLLAR ARM opens in theaters everywhere on May 16, 2014! Be sure to follow Saving Said Simply via Facebook, Twitter, Google, Instagram, Pinterest and YouTube for more fun Disney happenings! Yay, it’s grill season! Did I mention how much I love living in Florida? One of the many perks I get to enjoy is grilling out year round. Is there really a better smell than freshly grilled sausage and peppers? It’s heavenly! With Spring here and Summer on the horizon, I love hosting fun grilling parties at home. One of my favorite crazes right now are Paint Night Parties. Have you been to one? Getting in tune with your artistic side of your brain is great for your well-being. Why not pair the relaxing atmosphere of grilling and art together? It sounded like so much fun, I couldn’t wait to get planning! Nothing gets those creative juices flowing like the new Hillshire Farm American Craft Sausage! So I headed Walmart to pick up the new Garlic and Onion Sausages for my party. Tucked into the Hot Dog and Sausage section, these babies were begging me to come home! If you’re heading to Walmart soon, be sure to stop in May 1st-4th for a special demonstration of the American Craft Sausage, available at select stores. Next, it’s time to fire up that grill! 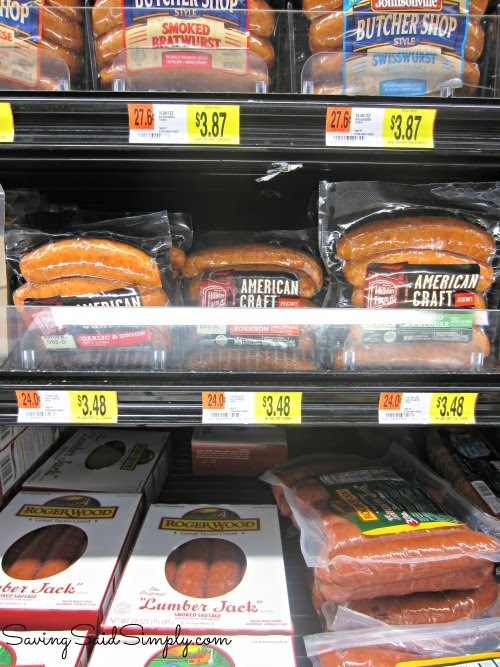 The Hillshire American Craft Sausages are perfect for that heavenly grilled sausage smell. Within a few minutes you can obtain charred perfection! Big, juicy and a great casing snap when you bite in, these sausages are amazing! Creativity can go beyond the painting canvas! 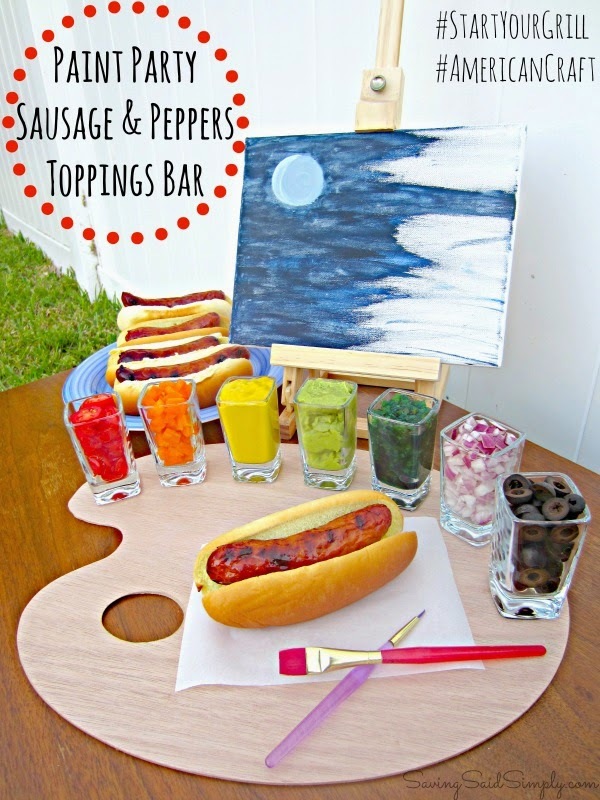 Hosting my own Painting Party inspired this amazing Sausage Toppings Bar! Using the colors of the rainbow, I placed individual topping servings in little 1 oz. glasses, set around a painting palette. 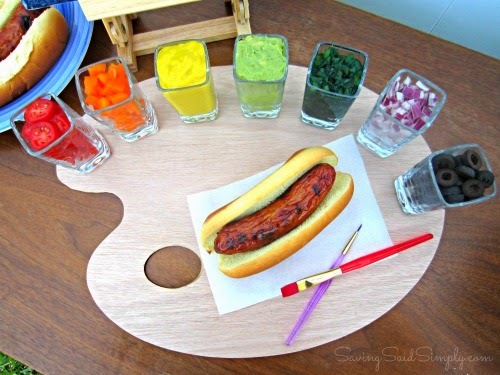 Guests can enjoy “creating” their own sausage and “paint” on beautifully colored toppings! 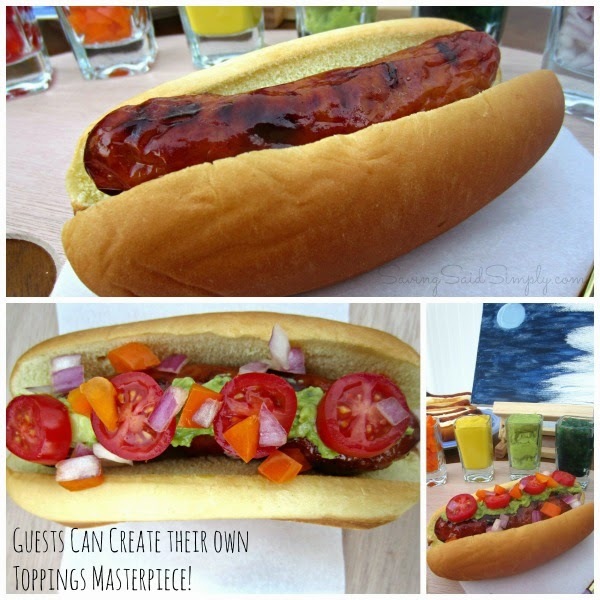 Not only can you create a beautiful painted masterpiece, but your own sausage masterpiece as well! The new Hillshire Farm American Craft Sausage is the perfect addition to your next grilling party. Be inspired. Share artistic memories. Feed your well-being and your belly. And be sure to enjoy the goodness of grilling season! Hope this inspires you to #StartYourGrill this season and perhaps host your own at-home Paint Party! What’s your must-have for the Grilling Season? Disclosure ~ Post sponsored by Collective Bias® Social Fabric® Community. Be sure to follow Saving Said Simply via Facebook, Twitter, Google, Instagram, Pinterest and YouTube for more fun family-friendly reviews, ideas and more! This is a BIG year for my mother. 2014 marks the beginning of my mom’s retirement journey as she says goodbye to the job she’s loved since I was in 5th grade. I know; it’s hard to believe it’s been so long. With all of the big changes, I am reminded of so many wonderful memories I’ve had with my mom over the years including the ones we’ve had over tea. I call them the “Tea & Sympathy” sessions. Before I even thought about coffee, there was tea. Sitting on the back porch, watching the sunset, and my mom and I chatting about life. My latest heartbreak or dramatic teenage catastrophe to college dreams, marriage and kids. We’ve had quite a few chats, and many of them with warm, comforting cups of tea in our hands. She would steep her tea bag for what seemed like hours, while I indulged in a few hurried/impatient dunks. 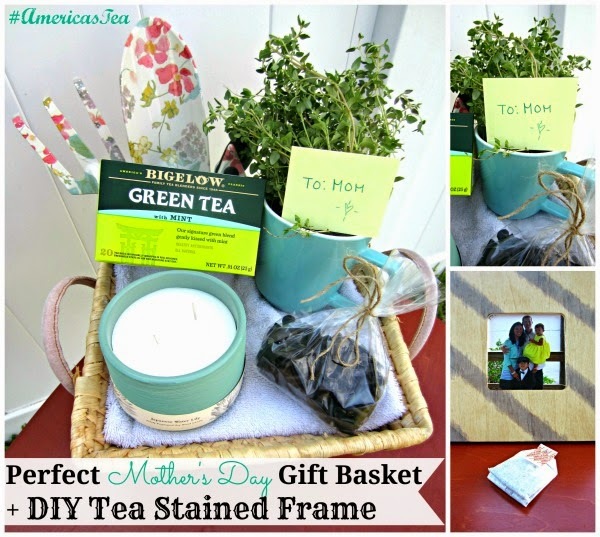 It seemed only fitting this year that I turned to Bigelow Tea for the Perfect Mother’s Day Gift Basket. This basket represents so much more than a gift; one to celebrate all of the big changes in her life, the nostalgia of our relationship and the hope of a wonderful future. 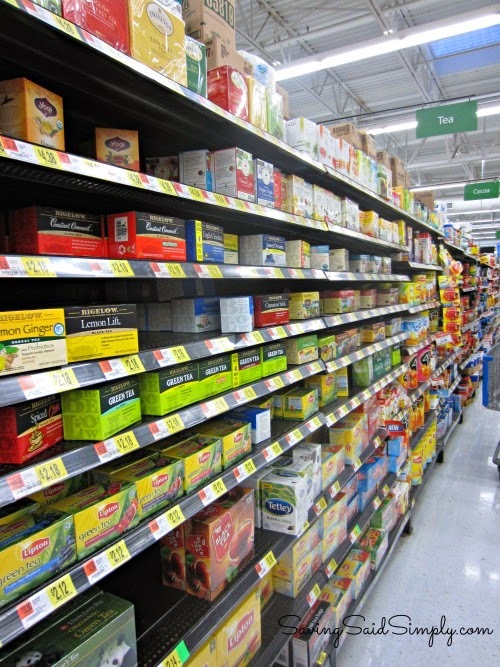 So I headed to Walmart to find the perfect cup of tea for my mom. 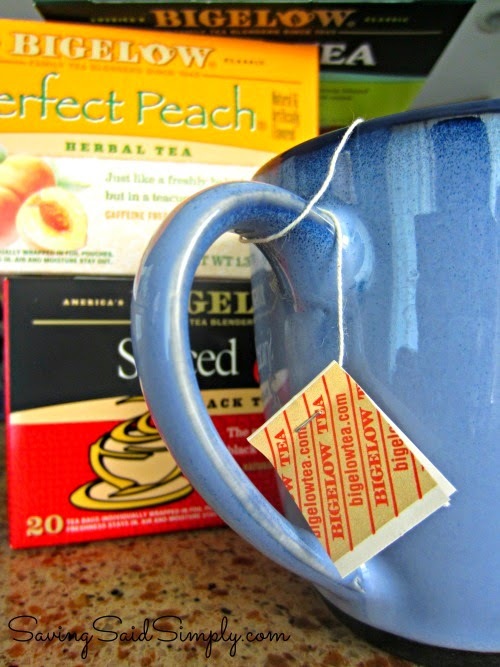 I love that family-owned Bigelow Tea has such a large variety for the exceptional tea lover. While I tend to steer towards herbal fruit teas, my mom adores green tea. Each packet is perfectly wrapped and sealed to lock in the flavor and freshness, so you know you’re getting the best recipe possible brewed in your cup. 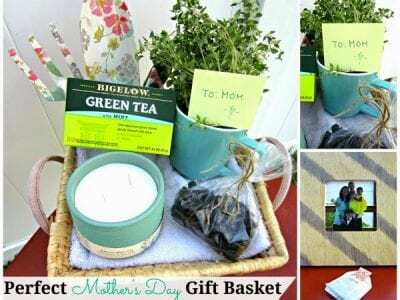 I picked up the Bigelow Green Tea with Mint for a fresh Spring pick-me-up to add to my mom’s perfect Mother’s Day Basket. What else went into the basket? 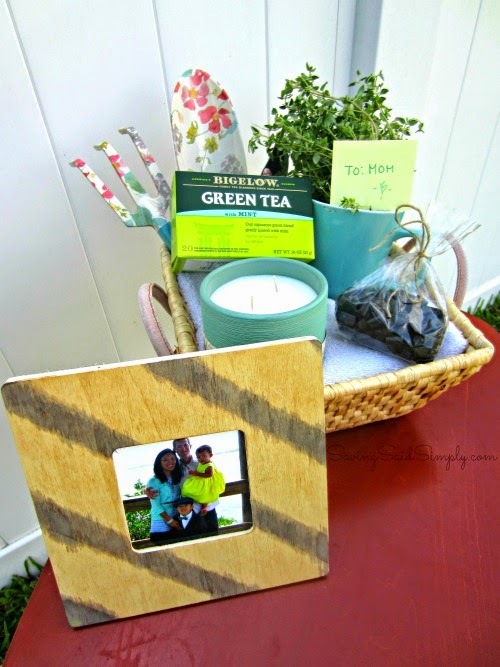 I added her favorite candy (black licorice), a beautifully scented candle (Japanese water lily – roots in her Japanese heritage), tea mug (of course! ), new gardening tools (for her new retirement venture), and the beginnings of her new herb garden. But that wasn’t enough. I felt my basket needed a personal touch. 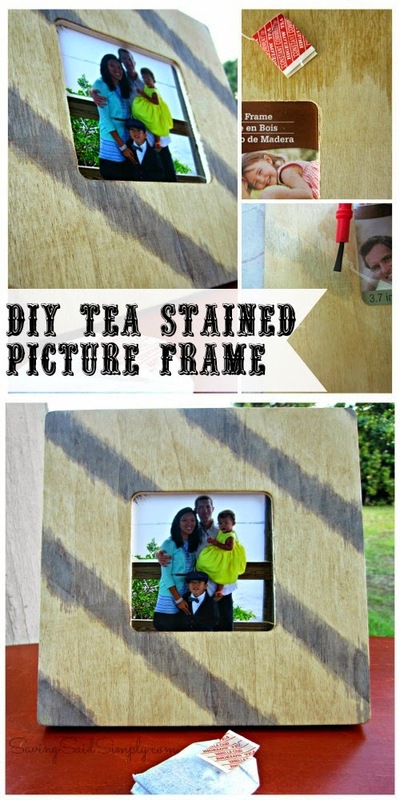 So I made my mom a beautiful DIY Tea Stained Picture Frame to go with. Mix together vinegar and steel. Soak for at least 5 hours. Steep tea in hot water for a few seconds (only to get the tea bag wet). Remove and squeeze out excess water. Use tea bag to gently sweep tea water across your frame. Notice the dark stain. Allow to dry. Repeat steps 2 and 3 if darker stain desired. Using the clear packing tape, tape your design onto the frame, paying special attention to press hard against the edges of the tape. With a paint brush, paint your vinegar solution onto the frame. The vinegar solution will add an even darker stain to your tea, for a beautiful finish. Dab with a towel if desired to keep the solution from entering into the taped off areas. Your design lines will not be perfect, but I think this adds to the DIY charm of this piece. What do you think? While certainly with less “Sympathy” now, I enjoy my special Tea & Sympathy moments with my mom. Hopefully this basket full of my special selected and handcrafted goodies will represent all of the good things in my mom’s life, past, present and future. Follow Bigelow Tea on Facebook, Twitter, Pinterest and Instagram for the latest brewed masterpiece, free samples, sweepstakes and more! Use hashtags #AmericasTea #CollectiveBias to join the conversation. Looking for more “Tea” inspiration? 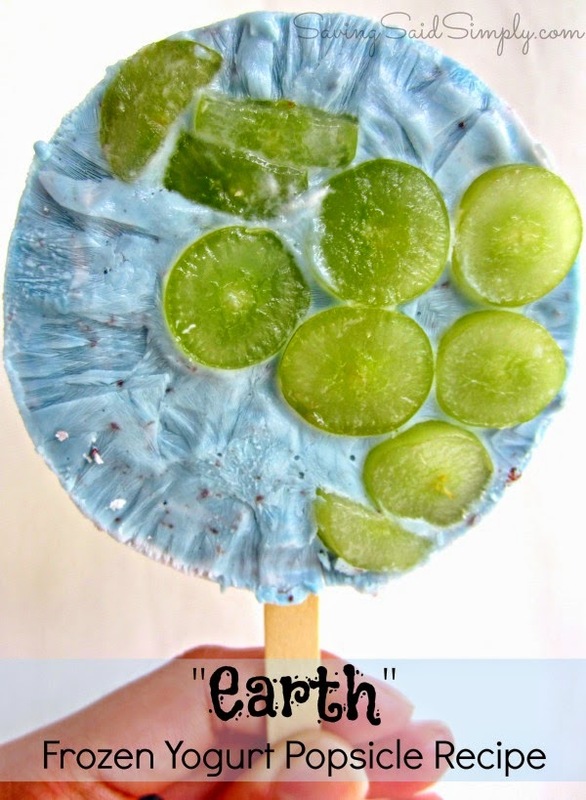 Check out the Bigelow Tea Pinterest Page for some more great creative ideas! What would be included in your Perfect Mother’s Day Basket? Disclosure ~ Post sponsored by Collective Bias® Social Fabric® Community. 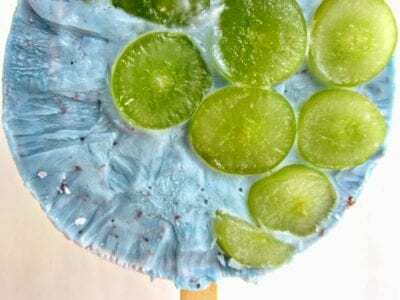 Be sure to follow Raising Whasians via Facebook, Twitter, Google, Instagram, Pinterest and YouTube for more craft inspiration, reviews, giveaways and more! 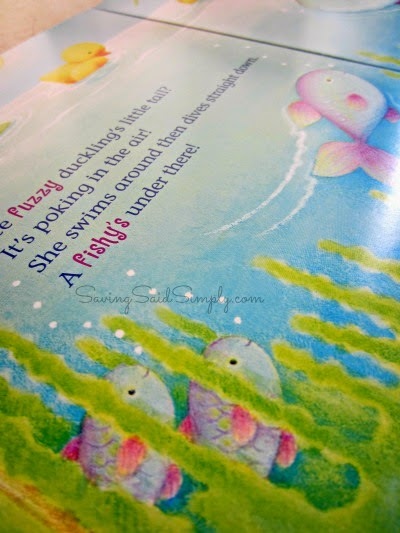 God Bless Our Easter Board Book Review + Giveaway – HURRY! 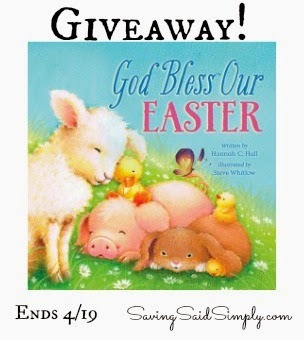 We received the new God Bless Our Easter Board Book for free in exchange for this review. All opinions are 100% my own. Just in time for Easter, Thomas Nelson is back with another beautiful children’s book! This new release is titled God Bless Our Easter and is perfect for tucking into you child’s Easter Basket. This board book is great because my 5 year is just at the age when he can read some of his favorite books to his sister! Perfect for little hands with 20 strong, durable pages, this book has warmed my kids hearts as we prepare for Easter. I can see us reading this book together, long after the season. This beautifully illustrated board book features some of your child’s favorite animals as they celebrate Easter! Using sweet rhyming, bright pictures, and snuggly animal friends, your child can learn all about Easter blessings, and why we really celebrate the season. 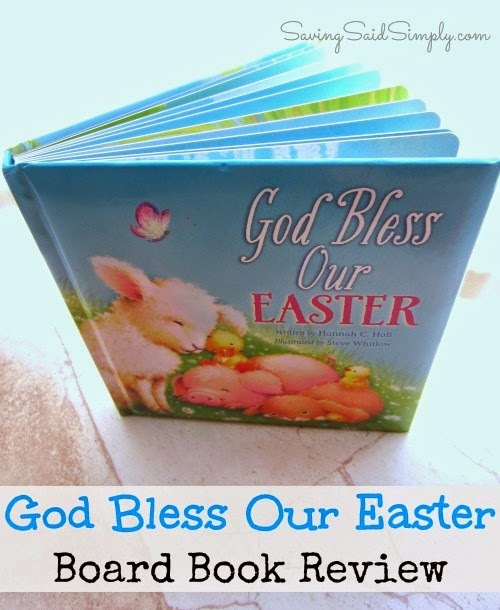 Purchase the new God Bless Our Easter Board Book online for MSRP of $9.99. Recommended for ages 2-5 years old. You can check out the contents of the new God Bless Our Easter Board Book HERE with the online Flipbook. Be sure to follow Thomas Nelson via Facebook, Twitter & YouTube for more great book releases for the whole family! Love these books as much as my family? Check out my other Thomas Nelson Children’s Book Reviews! Disclsoure ~ I receives a free product as a Tommy Mommy in exchange for this review. No other compensation received. Be sure to follow Saving Said Simply via Facebook, Twitter, Google, Instagram, Pinterest and YouTube for more fun giveaways! It’s PARTY TIME! 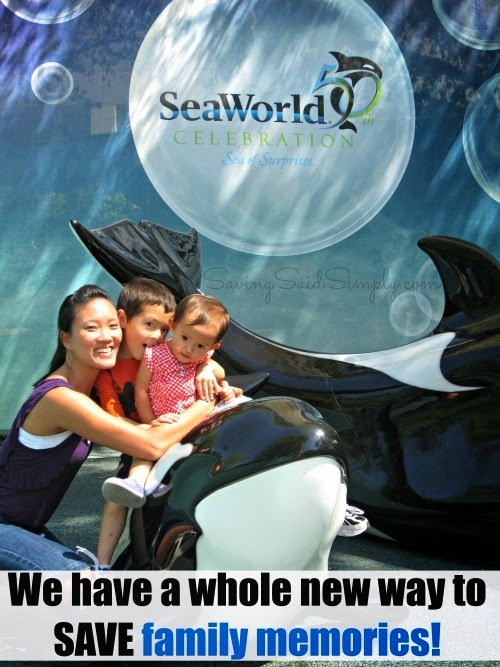 SeaWorld is celebrating their 50th Birthday this year, and we are receiving the presents! Join the 18 month celebration now through September 2015 with the Sea of Surprises. 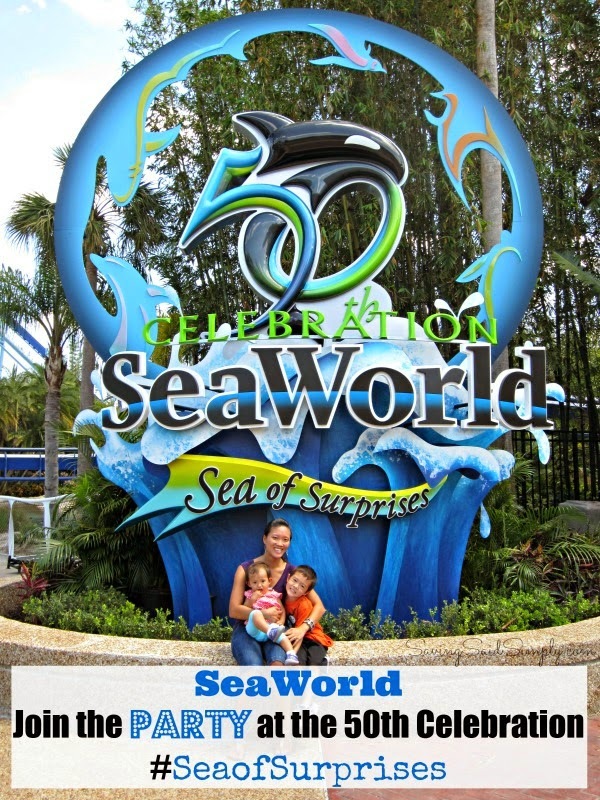 I’ve got 10 reasons to party at the all new SeaWorld 50th Celebration Sea of Surprises with your family! That’s right. 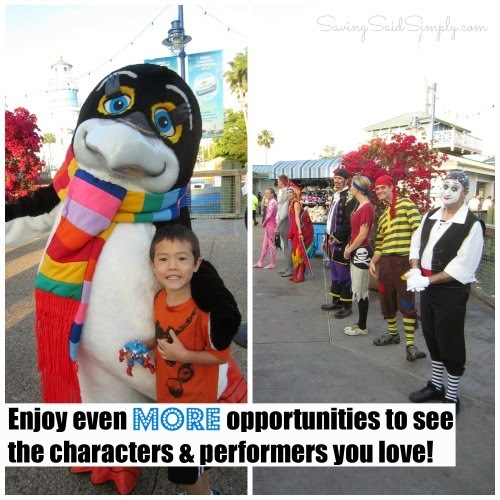 SeaWorld wants to give your family even more chances to see the pathway performers and characters you love! Be ready to get some great pictures and moments with your faves. We were in awe of even MORE great opportunities to see beautiful animals and their ambassadors up close. We got to ask questions, learn new facts and how about this priceless pic? 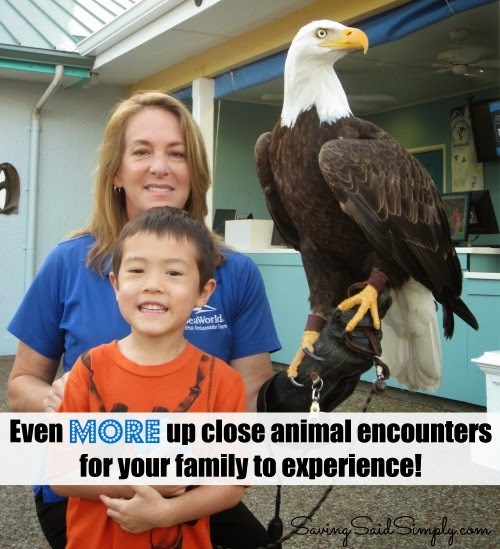 We would never be able to get that close with a bald eagle! WOW! Who loves birthday surprises? SeaWorld has a whole bunch of great goodies up their sleeves, and they’re surprising guests EVERYDAY with presents! From exclusive access to rides, behind-the-scenes experiences, Shamu-themed merchandise, reserved show seating and more…be on the lookout for a great surprise coming your way! I even got word of vacations and even lawn mowers as potential prizes! How fun would that be? 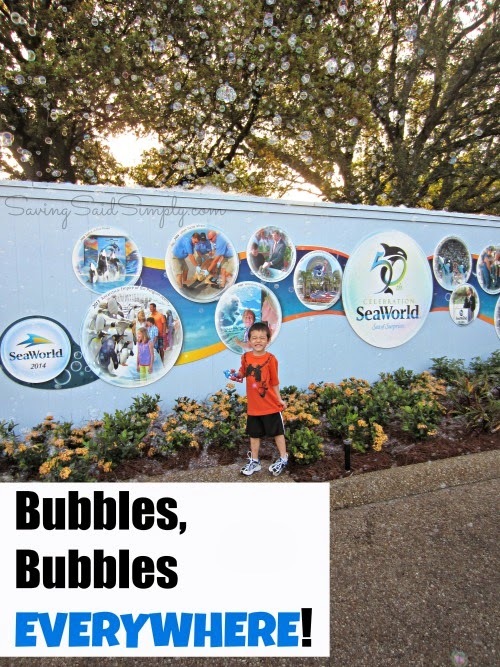 See SeaWorld pack in the FUN with bubbles! From walkways to live entertainment shows around the Shamu Happy Harbor, there’s tons of great bubbles for your family to enjoy! Can you tell how excited my son was? 5. Shamu’s Celebration: Light Up The Night – coming soon! Save the date of June 21st for the debut of the all new Shamu Show! Filled with new music, new production elements and all new killer whale experiences, we cannot wait to see how those beautiful whales get featured! Just beautiful. The all new and redesigned SEA Garden is a perfect opportunity for a breathtaking view. 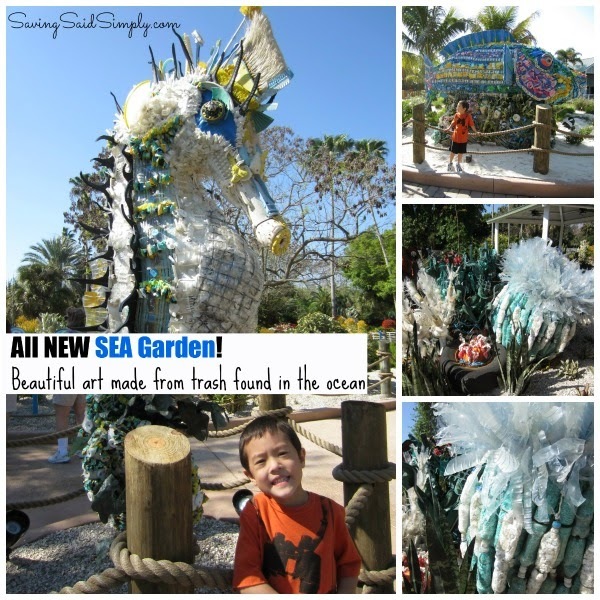 Each of the 4 beautifully sculptured pieces are made from trash right out of the sea. It was a great teaching moment for my son as we got to discuss how we need to protect our oceans and animals. Have you checked out the NEW SeaWorld Discovery App? Join the live scavenger hunt to win REAL prizes, play new interactive games, and see exclusive video and more! Available right now for iPhone and will be available soon for Android devices. It’s more than a birthday party! From now through April 12th, your kids get to enjoy even MORE great SeaWorld adventure with the Just for Kids Festival! In true SeaWorld Party style, you have to end the night with a dance party! Join the FUN and boogie down with your SeaWorld pals. A great way to celebrate a birthday! 10. All New Way to SAVE family memories! What is your favorite SeaWorld memory? Disclosure ~ I was invited to a special media event at SeaWorld Orlando to check out the 50th Celebration Sea of Surprises. While the experience was free, the opinions are 100% my own. Be sure to follow Raising Whasians via Facebook, Twitter, Google, Instagram, Pinterest and YouTube for more fun Orlando happenings! Let me start off this post by saying that I do NOT dislike the elf. I have no problem with people that do love and use the elf. I have plenty of close family and friends that have an elf too. But as with all families, there’s a personal preference. 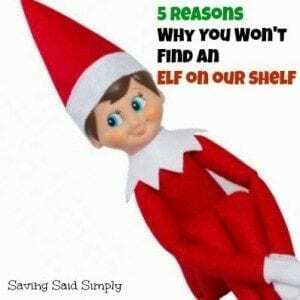 I have been attacked by countless posted pictures of the Elf on the Shelf on all of my social media and of course been asked “Where’s your Elf?” So for all of those folks wondering, here’s 5 reasons why there will never be an Elf on Our Shelf.